Aeroklas is the first brand in the world producing ABS double shell hardtops. This material has a perfect balance of properties: strong, chemical- and temperature resistant, rust free, reshapes after an impact.It is extremly lightweight, 100% recycleable, the production is also environmentally friendly. 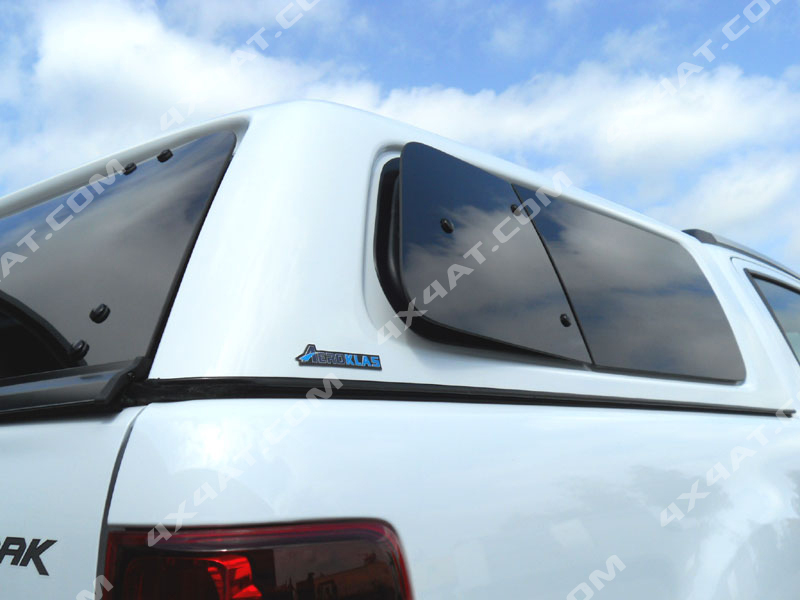 This is why ABS is widely used in automotive, aircraft, electronics industry, and for pick-up accessories (hardtops, tonneau covers etc.) . 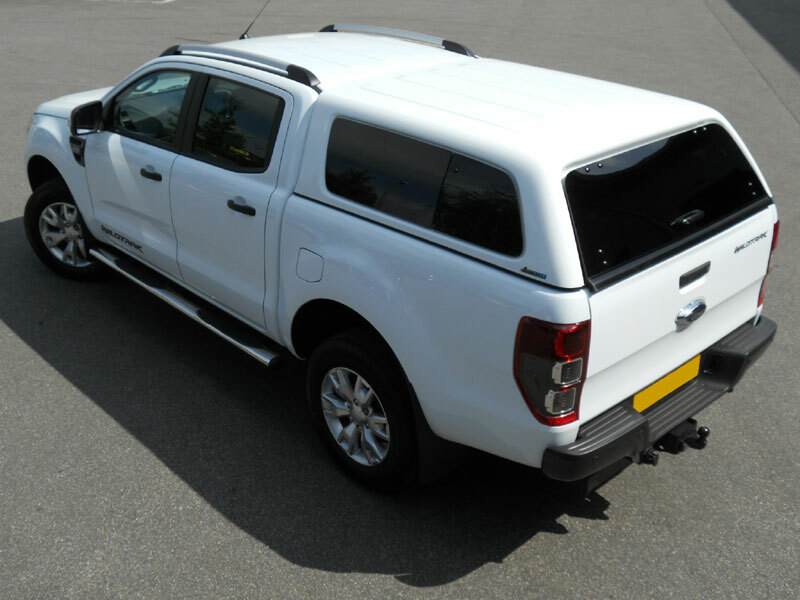 These modern hard tops are available for Ford Ranger Double cab and king cab models including The new 2012 Models which are TUV approved trucktops and are endorsed by Ford Europe as a Top Quality Utility Canopy. I liked the carryboy S7 top until I saw this …… Is this style of Aeroklas top available for Hilux twin cab also ??? Do you make the Alpha truck top for the brand new 2012 Ford Ranger Wildtrak, my truck arrives in April and I saw a picture of the Alpha top fitted to a new Ranger but you dont show it. Looking for a price for a truck top on a new Hilux. Top need sliding side windows and heated rear door. Is the sammitr? top available thru you or just from toyota themselves. The hilux is a 2012 and metalic green colour. 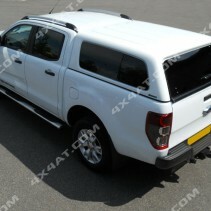 The areoklas truck top looks real neat on the new ford ranger, the white one here looks awesome.